“Now judgment is upon this world; now the ruler of this world will be cast out.” says the Bible (Mathew 13:49). Whether a devout Christian is mindful of the judgment day or not, Tamil Nadu Chief Minister Jayaram Jayalalitha is very much worried over her own judgment day, for it could be nearing. Senior Counsel B.Kumar concluded his marathon arguments on behalf of Jayalalithaa about a fortnight ago, and the arguments on behalf of Sasikala also are over. Now arguments on behalf of P.K.Ilavarasi and Sudhakaran alone remain to be completed. 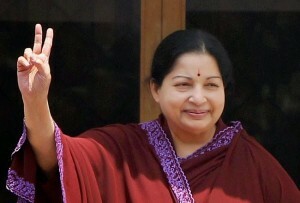 Informed sources say Jayalalithaa is very nervous about the fate awaiting her in the Bengaluru Special Court. 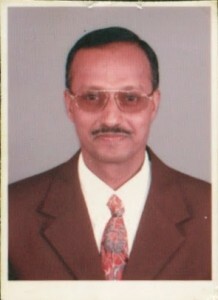 Jayalalitha tried her mighty best to stall the trial, but apparently beyond a point her tactics have failed to work. Besides her favourite Judge P.Sathasivam has retired. The present CJI being a non-nonsense man and the next incumbent too being tough, the possibility of prolonging the trial courtesy the intervention of the Supreme Court is virtually nil. Not one to give up Jayallitha kept sending feelers to Modi, with a not-so-hidden plea to bale her out of the assets case, but in vain. Such was her desperation that even before Finance Minister Arun Jaitley could complete his budget presentation, Jayalalitha issued a press release hailing it in effusive terms. Still the BJP regime was not too very impressed, and no help was forthcoming, even as the trial proceedings seemed to proceed remorselessly to their logical conclusion. The all too sudden sacking of Dr. V Maithreyan as the floor leader of the party in the Rajya Sabha and stripping him of all party positions, tells its own tale. Well, in Jaya’s wonderland whose head is ordered off when and for what is all unpredictable. But the New Delhi pointsman’s plight is traced to his inability to make the best of his past RSS connections. He had crossed over to the AIADMK from the BJP protesting the party’s alliance with the DMK back in 1999, but nursed his contacts well, it was thought. Apparently Amma bet on it in her hour of crisis, but unfortunately for him and his leader, RSS would not care less. In any case PM Narendra Modi is his own man. And so Maithreyan’s efforts came a cropper, and he was promptly thrown out. If indeed she is held guilty of accumulating assets disproportionate to known sources of her income, she risks not only losing her Chief Ministership and becoming ineligible to contest elections for several years, she could also be imprisoned for up to a maximum of 7 years. It is the jail prospect that looks most forbidding to her, sources claim. Unlike Karunanidhi, who rose from the streets to reach his political pinnacle, Jayalalitha was born with a silver spoon, as a daughter of a popular actress. Jayalalitha would never have felt what hunger was, and in her entire life she would not have walked for more than 500 metres at a stretch. During the first time Jayalaitha was incarcerated for 27 days, a rodent entered Jayalalitha’s cell. A shocked Jayalalitha screamed in fright. Probably it was the first time Jayalalitha had seen a rodent. 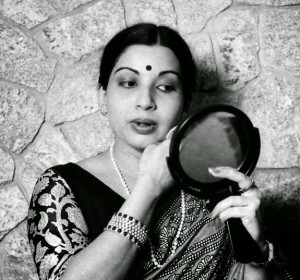 During her incarceration in the old Chennai Prison on the banks of the Cooum river, into which the sewage of much of the city flows untreated,Jayalalitha suffered mosquito bites and was not able to sleep for several nights. An erstwhile colleague of this author, who recorded her statement when she was in detention, recalls how she could spot reddish mosquito bite marks all over her face and arms. Apparently the Iron Lady hasn’t recovered from that trauma and would do anything not to undergo the trauma ever again. But not clear though whether the stars are in her favour, never mind the endless rounds of propitiation of the gods through poojas and havans. She is haunted so much night and day by a possible adverse verdict, the administration itself has come to a virtual standstill. Many senior bureaucrats in private believe that they are able to perceive a last minute rush among the ministers in sealing under-the-table deals. The Supreme Court did quash the appointment, but she managed to clear her name in the TANSI case, went on to contest a by-election and leap back to throne. The TANSI case, relating to sale of government property to firms owned by Jayalaliathaa and her confidante Sasikala, was widely expected to go against her. It did at one stage, but the verdict was reversed in the High Court as observers gasped in disbelief. So will Selvi Jayalalithaa prove lucky this time too? 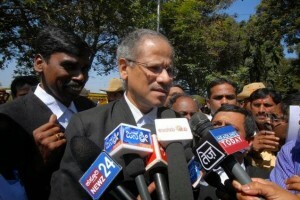 Michael D. Cunha, the Special Judge hearing the assets case in Bengaluru, is said to be a hard nut to crack. He was the only Judge to personally come down to Chennai and verify all the movable properties in the custody of the Court. He also ordered the jewellery and other items same to be transferred to Bengaluru. What is giving Jayalalitha and co sleepless nights is, ironically, the time the judge seems willing to give her counsels to plead her case. Jayalalitha’s counsel B.Kumar was allowed to take more than 25 working days to complete his arguments, and Sasikala’s counsel Manikumar was given more than a fortnight. It is actually a ‘long-rope strategy,’ argues an advocate who should know. Things are loaded very much against the Tamil Nadu, he asserts. Ok, what if she comes out unscathed yet again? The journalist, quoted above, recalls that when the ‘not guilty’ verdict came out in the TANSI case, a man, thoroughly inebriated, thrust himself before the TV cameras in the Madras High Court complex and started slapping himself on the head furiously with his own chappals. The journalist said, “May be I would repeat what the drunkard did!” All of us too with him!! சரத் குமாருக்கு நோட்டீஸ் அனுப்பினார் உதயக்குமார். What difference dear sankar between you hosting your website even after ordered to close by court and jayalallitha using all legal means, which is accepted by courts to defend her? ?